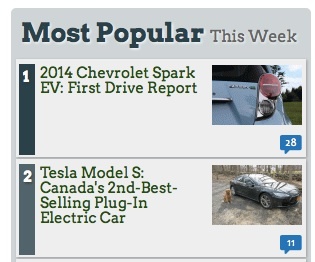 My GreenCarReports article on Tesla Model S sales in Canada this year has been popular enough to reach second-place in GCR’s “Most Popular this week” sidebar. Very cool, and almost certainly indicative of the fact that Tesla fans are starved for sales data! After all, the company is about as forthcoming with monthly sales statistics as old Howard Hughes was, with public appearances. Too old a reference? How about Thomas Pynchon? Too obscure? Well, they’re about as willing to disclose that information, as current Canadian Prime Minister Stephen Harper is, of letting his MP’s speak freely. When his most recent cabinet was announced, the media was given… pre-recorded video commentary from each of the lucky lawmakers.